Labadie Collections. University of Michigan. 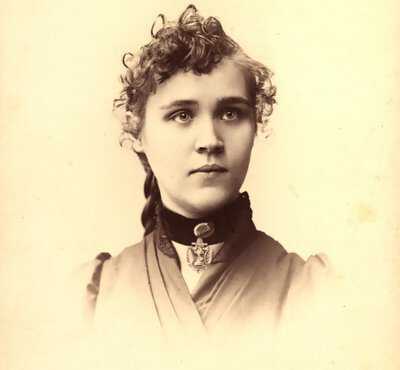 One of the most prolific anarchist writers of her time, Voltairine de Cleyre was educated in a Catholic convent in Sarnia, Ontario. There, her father insisted, she would become a nun. She lived in the convent for four years, wrote historian Dan Georgakas, "sometimes running away, always disobedient." De Cleyre developed strong views about the repressiveness of religion. At the convent de Cleyre wrote, "I have seen bright intellects, intellects which might have been brilliant stars in the galaxies of genius, loaded down with chains, made abject, prostrate nonentities." At the age of nineteen, she emerged as a crusading atheist. De Cleyre experienced two great epiphanies as a young adult. One was a rousing speech by the well known defense attorney Clarence Darrow on socialism. "It was my first introduction to any plan for bettering the condition of the working classes," she said. The second was the trial and execution of a group of Chicago anarchists accused of the Haymarket bombing in 1886. As it did for many of her generation, the Haymarket injustice sealed her commitment to anarchism. An inspired essayist and poet, de Cleyre possessed a greater literary talent than any other American anarchist. Max Nettlau, historian of the anarchist movement, described her as the "pearl of anarchy." Historian Paul Avrich wrote, "She put into what she wrote, a voice, an era, a state of mind that nobody else conveyed... 'The world is full of weeping as the heavens are full of stars' is a typical phrase." Emma Goldman spoke of the "religious zeal which stamped everything she did." De Cleyre's whole nature was that of an ascetic, Goldman wrote. "Her approach to life and ideals was that of the old-time saints who flagellated their bodies and tortured their souls for the glory of God." But religious de Cleyre was not — except about anarchism. Through the years, de Cleyre moved from supporting individualist, non-violent anarchism to advocating the direct-action approach of the International Workers of the World. She became more aggressive in her writing, declaring that there were times when acts of violence were the only means of opposing exploitation and tyranny. 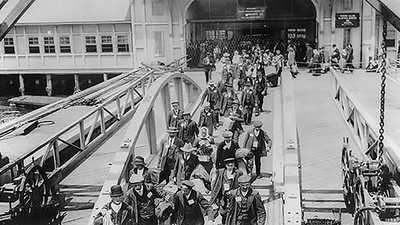 De Cleyre's abiding commitment was to America's workers. "Whatever the momentary emphasis," according to Georgakas, "she always directed her efforts to working-class audiences. She frequently criticized anarchists such as Emma Goldman for being too elitist and directing their work to intellectuals and the middle class." When addressing meetings in New York in 1910, she frowned on the "respectable halls" filled with "respectable people." It is absolutely horrible, she wrote, "to me to find that Anarchism has been made a fad for intellectuals to pat on the back." In Goldman's Mother Earth she declared: "Comrades, we have gone upon a wrong road. ... Our work should be among the poor, the disinherited, the men and women who do the hard and brutalizing work of the world." De Cleyre lived a tragic life. At a young age she lost her greatest love to suicide. In a later relationship she gave birth to a son, but when she refused to live with the child's father, the baby was taken from her. She did not see her son again for seventeen years. Another misfortune took place in 1902 when she was shot by a lovesick student. "Although she recovered," wrote Georgakas, "her always fragile health was shattered. Characteristically, she refused to press charges, stating her assailant should be sent to a mental facility, not a prison." De Cleyre based her operations from 1889 to 1910 in Philadelphia, where she lived among poor Jewish immigrants, who made up the major constituency of anarchists in the U.S. There, she taught English and music, and she learned to speak and write in Yiddish. In 1912, at the peak of her achievements as a writer and political apostle, she became ill from "brain fever" and died in Chicago on June 12. She was buried in Waldheim Cemetery in Chicago, beside the graves of the Haymarket anarchists whose martyrdom had inspired her life. De Cleyre's work soon went out of print and she was rarely cited. "She was a brief comet in the anarchist firmament," according to Avrich, "blazing out quickly and soon forgotten by all but a small circle of comrades whose love and devotion persisted long after her death." More than fifty years passed before her writing enjoyed a revival in conjunction with the reemerging women's movement. "In many ways," wrote Georgakas, "her chief work seemed to be the uncompromising manner in which she had led her life." Shortly before her death, Voltairine de Cleyre spoke her own eulogy: "I die, as I have lived, a free spirit, an Anarchist, owing no allegiance to rulers, heavenly or earthly." 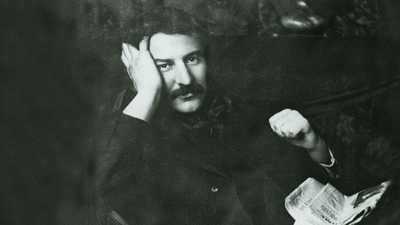 A doctor and a hobo, Reitman worked tirelessly on behalf of prostitutes, tramps and drifters. 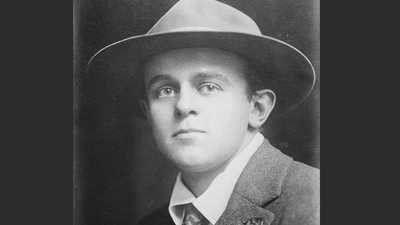 Steadfast socialist John Reed lived what many would call a terrifying life of his own making and desire.